Denise decides to use the resources available to her to help her friends and family weather whatever crisis she knows is coming. 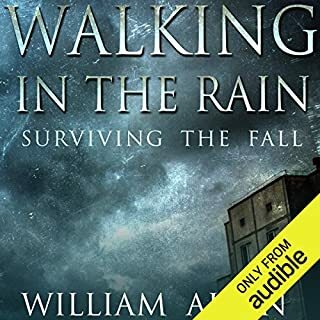 When Tom VanZant, a dear friend, confides he, too, is experiencing feelings of an impending catastrophe, they both realize it is time to hunker down to survive the storm about to occur. While they prepare, economic instability accelerates, violence escalates, and infrastructure deteriorates. Terrorist acts across the country and horrific brutality close to home further complicate this precarious situation. 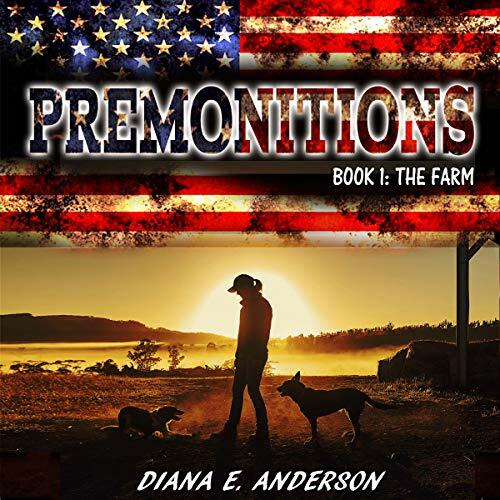 While safe (at least for the moment) on Denise’s farm, Denise, her family, and her friends can only wonder: Have they prepared enough to let them survive? Excellent story and narration. Am hoping for both to continue with the next book. Thanks. First off, there's a lot of characters, but if you just realize that and pick out the main characters, you'll be fine. I, personally, like the idea that there are people that have premonitions and prepare for them. I know that there are some that might find this hokey, premonitions, dreams, etc. But, it's a fiction book, so I believe Diana can get away with it. Yes, there are a lot of lists involved with creating a place like described in the book. But, it does take a lot of to-do lists to do such a thing. So, I just dealt with it. Plus, I keep these things in the back of my mind, just in case. Yes, the book comes from a conservative view of American life. Again, it's a book of fiction, so if you don't like such beliefs either don't buy this.....or maybe buy it because you need to see both sides of an issue....just saying. Lastly, the plot line is not predictable, which I like because I don't want to figure out the end before the end comes. Oh, and the narrator may not be the best out there, but she was still good. Plus, I was able to differentiate one character from another which is important to me. Awful, excessive monologue, have all need, unrea.. I can't believe the positive reviews. 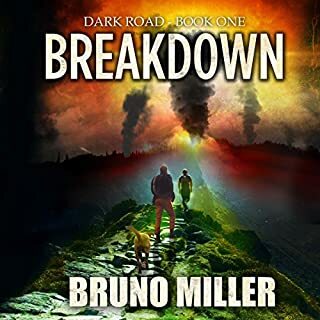 I read prepper fiction/faction, and this one is just awful. excessive monologues. rather than write about the exciting events, author writes about someone describing the event afterward... why not write it as it happens??. they have piles of: money, equipment, doctors, army rangers, weapons, found shipping containers full of supplies, picked-over stores with piles of supplies magically left for them, etc. just absurdly unbelievable and not at all close to realistic for an average person or even an average prepper after a collapse. 2 gangs attack and they just kill them all with almost no effort or resistance. Terrible job describing what the "collapse" actually is. stores just start having less inventory to sell, why? business start laying off much of staff, why? No explanation... it just spontaneously happens with absolutely no context or explanation or reason. 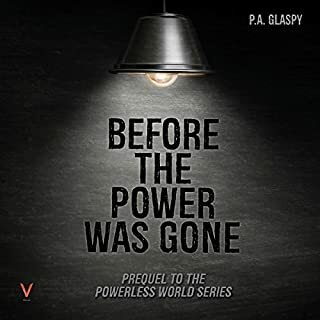 Who wants to read about someone during a collapse that the prepper fairy comes down and grants them everything they could possibly want or need to ride out the storm with no difficulty. how is that different than normal life? 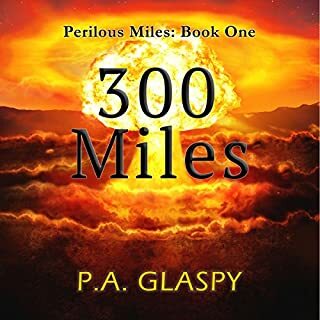 Made it through 90% of first book, but when the professor made the nuclear reactor for the compound using a couple of coconuts and bailing wire, on top of all of the other accidental good fortune, I had to pull the plug. If complete absurd fantasy with no challenges suits you, and you just want details about which barn they put the pigs and who's getting married, then rock on and enjoy. its just not for me. Oh, and I'm not at all saying I'd be able to write a great book... but then again, I'm not a prepper fiction author. Let me start by saying that I did listen to the entire book. It was interesting but totally unrealistic. Yes, I know it’s “fiction!” However, every post apocalyptic book I have read or listened to was somehow believable. I could see it happening. Spoiler alert if you haven’t read it yet, the characters managed to basically build an entire community - hospital church barns gardens apartment buildings barracks etc. within a very short time frame-less than a year. The community was on the outskirts of a relatively small town which somehow provided all their needs for lumber animal feed human food solar power etc. and they managed to acquire a military presence. I lost count but it started with 1 family of 5 and ended up with unknown numbers but I would guess close to 100. 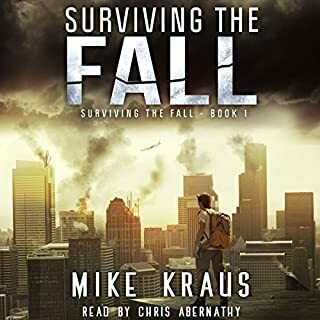 How to be ready for a future that may or may not come.This is a preppers handbook with a well told story line. Lots of characters but I figured it's not necessary to recall everyone's kids names. I ended up really enjoying the story. I recommend it if you are a fan of pepper fiction. Performance was difficult to listen to. Sounded like a fake accent. Story was boring . I wouldn’t recommend it to anyone . 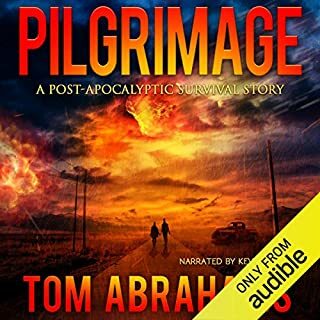 Excellent Prepper Novel, expecially Logistics! Length 10 hours a bargain. Very, very good logistics explanation of preparing. I usually don't listen to women authors because they seem silly and immature. Diana Anderson tells a realistic story about practical, strong, capable women...as well as men. Women that are NOT competing with men, but each gender/adult has knowledge and strengths they contribute to strengthen their community. Appreciated that fighting was a small component of the story line. Appreciate the realistic portrayal of adult life is a LOT about work. Loved the nurturing, caring for, educating of the children. To much monologuing. To much going on the moral high ground. They always seemed to find what they need no matter what. Starts out as someone basically reading an unbelievable shopping list for a couple of hours, then starts praising Trump. I quit when that happened. Save your money, buy something else.